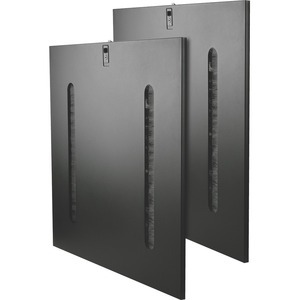 The SmartRack SR42SIDEPT is a 2 pack side panel for the standard depth SR42UB - where cables need to pass from cabinet to cabinet. The panels can be used as replacements for an expansion cabinet (SR42UBEXP) where the needs have changed and a side panel is now wanted. SR42SIDEPT comes with a key locking latch.